State Tech Magazine recently released an article entitled “30 Must-Read State and Local IT Blogs 2016.” The article is posted annually and contains a list of top blogs covering relevant trends, news, analysis and general information on state and local government IT. Any guesses on who made the list? You’ve got it- the BIT blog! So what makes BIT’s blog a “must- read”? Essentially, its employees! From drag racing, to soup competitions, to employee of the quarter, to chocolate making, we have plenty of variety! In addition to the personal features, the BIT blog also includes a lot of technology items as well. These items range from time saving tips to information on new technology with one end goal in mind: to help state employees do their jobs more efficiently and effectively. So please, if you have anything you think is pretty groovy, send your ideas to BIT’s Communications and Social Media Manager, Jessica Gebert. Let’s break the stereotype and show our audience that we are far more than just computer geeks :). South Dakota’s First Virtual Reality User Group! 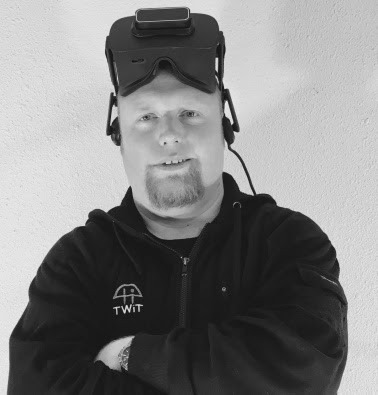 On January 21st fellow BIT Employee and VR enthusiast, Chad Severson, will be organizing the first South Dakota Virtual Reality User Group. His first experience with Virtual Reality was Epcot in Walt Disney World in 1998. “It was the very early days of VR, graphics were very basic and consisted of few colors but you could tell that it had a future. The only question was when,” Chad explained when commenting about this first experience. What steps need to be taken to begin exploring this new world? What industries can benefit from the use of this technology? Will VR technology remain relevant in the coming years or will it fade away like it has in the past? This will help those interested demystify this technology and show others how Virtual Reality can change many industries including education, entertainment, psychological science as well as gaming. There will also be chances to try out Virtual Reality. Find out all of this as well as how you can keep up to date with all the latest developments in VR by attending this talk at 1:00pm on January 21st at Lariat Lanes in Pierre, South Dakota.